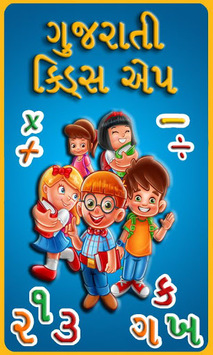 This app shows various section like Gujarati Mulakshar, English Alphabets, Gujarati Months, English months, Week days in Gujarati, Gujarati Barakhadi, Gujarati numbers, Shapes and Color in Gujarati, Birds, Animals, Directions, Games for kids. 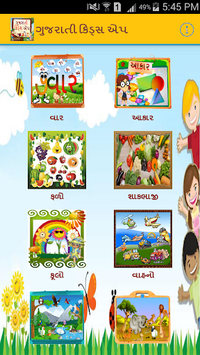 The picture/words having sounds to know how to pronouns. 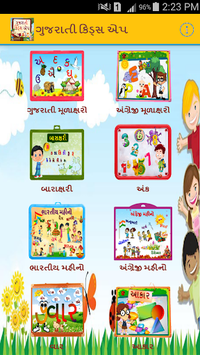 It also helps learners to practice writing on it by tracing the letter.